Whether your primary business is order fulfillment, manufacturing, B2C, B2B or packaged goods, AuraPortal is the Business Process Management (BPM) tool for automating your processes. The powerful Communication and Collaboration Platform of AuraPortal provides the highest flexibility and efficiency in throughout the enterprise, whether it is your employees, customers or vendors. Coupled with LEAN and the AuraPortal workflows, the information and the collaboration reaches not only customers but branches, sales agents, indirect channels, suppliers, transportation, etc. generating a cohesive synergy and normalization of the whole supply chain. Process improvement along with automation offers the reduction of waste and costs associated with errors, overproduction, motion, inventory and people skills. 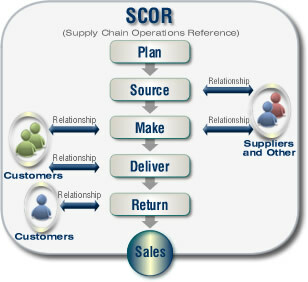 In today's tough economic sector, you need to have full control over your supply chain and physical movement of goods. Many organizations are realizing the benefits of business process and document management to improve productivity, increase visibility and reduce costs. A Continuous Improvement mindset is essential to reach your goal. CAASPRE Consulting believes in the concept of continuous product and process improvement and the elimination of non-value added activities. Take advantage our Initial Assessment. In less than two weeks, CAASPRE Consulting can help you determine where and how to start, how to increase productivity and determine your potential ROI. For improvement to flourish it must be carefully cultivated in a rich soil bed (a receptive organization), given constant attention (sustained leadership), assured the right amounts of light (training and support) and water (measurement and data) and protected from damaging.